The Vales EC is a 99-year leasehold executive condominium located at Anchorvale Crescent and is a stone throw’s away to Cheng Lim LRT station and 7 minutes stroll away to SengKang MRT station and bus interchange. With a modern contemporary facade that impresses, The Vales takes its name from a valley. With nine towers of 15-Storeys high, The Vales sits on a land size of 175,236 sqft and consists of a total of 517 residential apartments ranging from two bedroom to five bedroom units. With the LRT station right at the doorsteps, residents of The Vales EC are surrounded by several shopping malls such as Seletar Mall and Waterway Point. The newly revamped Compass One which is situated at Sengkang MRT station is a also a mere short stroll away. 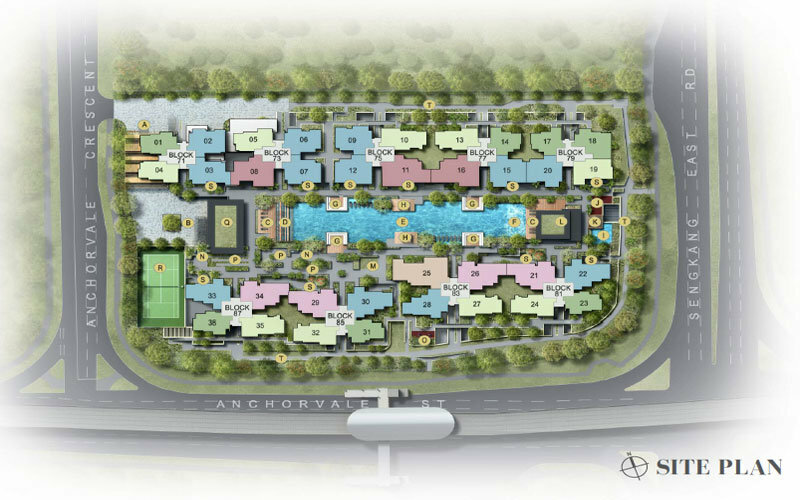 Residents will enjoy the convenience of shopping, dinning and entertainment amenities right at their doorsteps. Well known schools such as Nan Chiau Primary School, Nan Chiau High School, CHIJ St Joseph’s Convent, etc are all in close proximity to The Vales EC.